According to the NH truck crash lawyers at Manning & Zimmerman, collisions can happen anywhere and at any time. More and more, these crashes involve distracted drivers. In New Hampshire, a comparatively small state, traffic fatalities have been rising higher than the national average. In some instances, crashes involve a commercial vehicle. Liability in these case may rest not just with the driver and their insurance company, but also with the company that owns the truck involved. What is a Commercial Vehicle? There are a number of requirements in order for a vehicle to be classified a commercial motor vehicle. For the most part these are large vehicles that can cause a significant amount of personal and property damage. 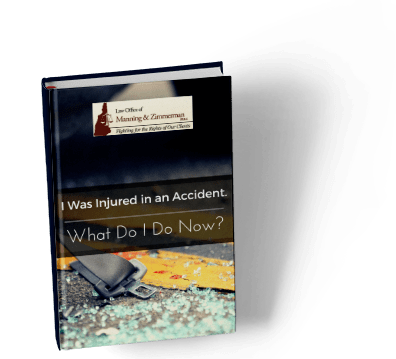 These reports are used by the FMCSA to determine whether or not a company or organization needs to review its safety management in order to prevent further crashes. The question most people have in regards to crashes involving commercial motor vehicles is who is liable for any damages. First, it is important that the names of those who were involved in the crash be recorded for proper identification. It is also important to record the business or organization that the driver is employed by and that owns the vehicle involved in the crash. This is critical information. If the names of people or businesses involved in the crash are left out of the reports and the court documents, then that unnamed party may not later be found liable even if the crash was their fault. While many assume that only the driver is at fault, that is not correct. The driver may be found liable, but the employer, the manufacturer of the vehicle, and the organization that owns the vehicle may be as well. Our civil justice system provides for victims of negligence to recover full, fair and adequate compensation for their injuries. The NH truck crash lawyers at the Law Office of Manning & Zimmerman, PLLC handle cases in all areas of personal injury law. We work diligently to ensure that our clients receive compensation for their injuries. There are no up-front costs for our services. All personal injury cases are handled on a contingency basis, meaning that we are only paid for our services if we successfully recover damages from the responsible party. For a free consultation, call (603) 239-2315. You may also email us at info@manningzimmermanlaw.com, or contact us by using the “contact us” form or chat feature on our website.